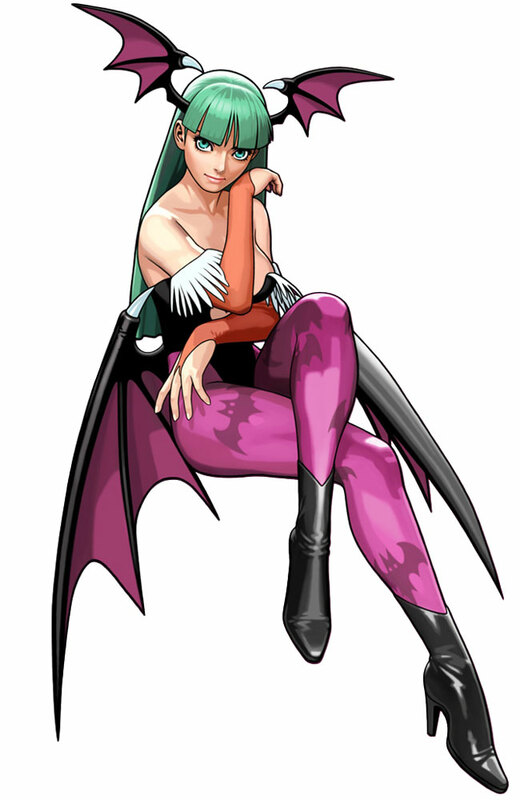 Okay, so as I said before, my first cosplay I plan on doing this year is Morrigan Aensland. As of now, I’m currently working on both sets of her wings. 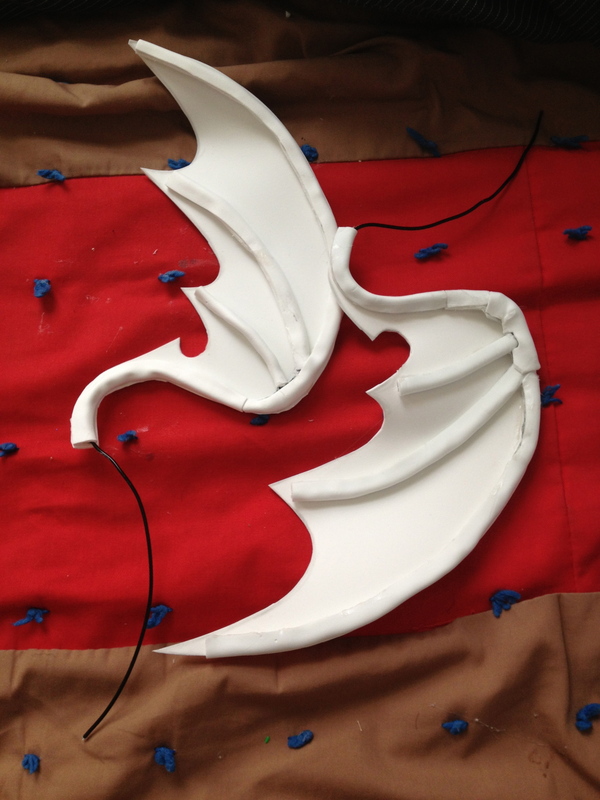 I’ve finished the head wings at this point and am…stalling to finish the larger wings. 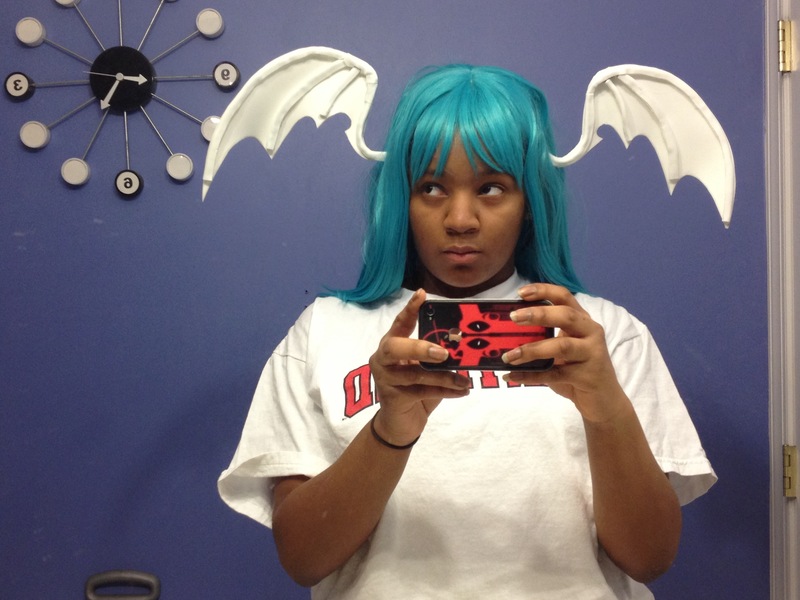 However, I’d just like to post some pictures I took while I made the head wings. 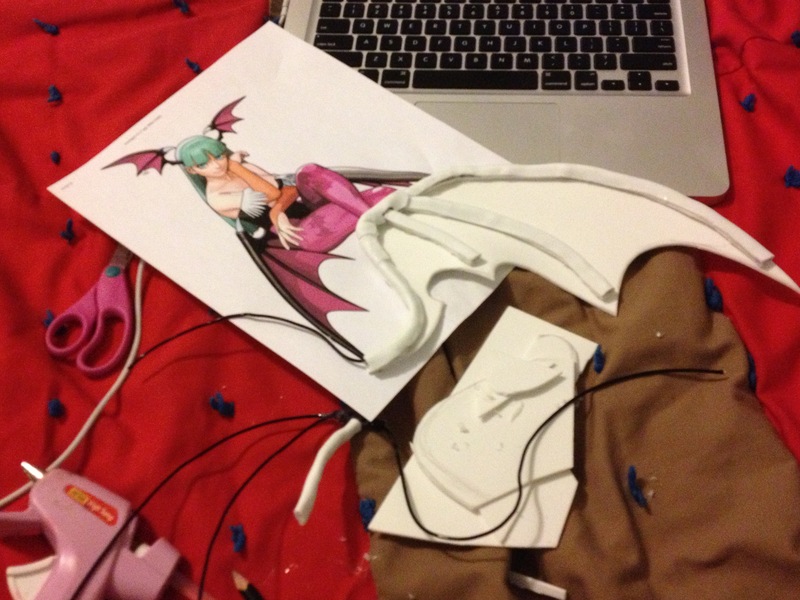 I used 14 gauge crafting wire and crafting foam for the shape of the head wings while referencing an image of Morrigan. Testing out the wings themselves after I completed both of them. These are the wings while they aren’t on my head. So that’s the first half of my head wing process. Next, I’ll post the photos where I painted them and altered them a little.